Let’s face it, folks; your air conditioner is going to fail you at the most needed time. It could easily be attributed to “Murphy’s Law,” but it usually has to do with how much the unit is being used, the age of the unit, and the time of year. The summer months are notorious for causing havoc on your HVAC system, and if it’s an aging system that’s working overtime, you could experience the boiling inferno of a true Texas summer without an air conditioner! If your air conditioning system is nearing the end of its life, you really should take advantage of this generous offer! Air Temp is offering $1000 off ANY new Trane® system. These air conditioning systems are state-of-the-art, and are built to last! This is a limited-time offer, and once we’ve sold the units, you’ll have to wait until next year for our next promotion. Hurry in! We’d love to sit down and discuss your options. We offer financing as well, to make it easier for you. *Some restrictions apply. See store for details. 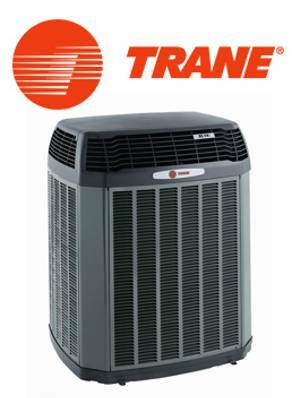 The Trane® logo, slogan and all images are property of, and licensed by, the Trane Corporation.